express her colorful, luminescent, and optimistic views of life. No painting leaves my studio until it sings! 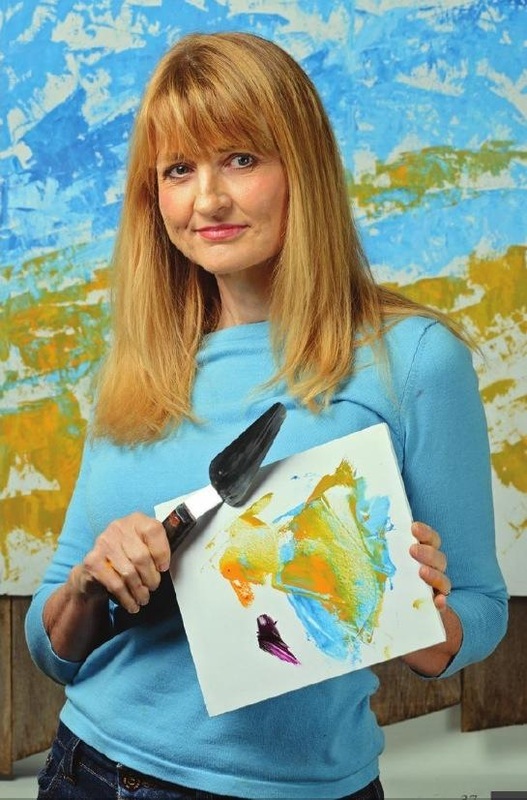 Artist Debra Clemente featured in the winter issue of Lawrence Magazine. Her painting process is as unique as each work of art she creates. and scraping oil paint on canvas. delighting the eye from a distance as well as upon close study.